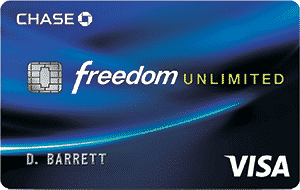 Credit card companies roll out the red carpet to get new card members. 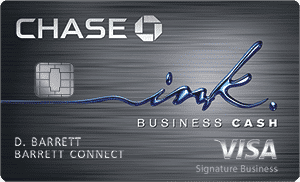 From cash to points to miles, signup bonuses abound from top card issuers. It’s for that reason that I complied this exhaustive list of credit card welcome bonuses, deals, and promotions for 2019. The list starts with the highest bonuses, and then is organized by type of bonus (cash, points, or miles) and by type of card (business and student cards). The value of points or miles can vary depending on how you use them. Welcome Offer: Earn 125,000 Hilton Honors Bonus Points after you spend $3,000 in eligible purchases in the first 3 months of Card Membership. Earn 3X Everywhere Else. Terms & Limitations Apply. Enjoy 10 free airport lounge visits each year once enrolled in complimentary Priority Pass(TM) Select membership, which offers access to over 1,000 lounges in over 120 countries. As the saying goes, cash is king. The following credit cards pay a cash bonus when you spend a set amount within a certain period of time. Keep in mind that many of the points and miles offers can be converted to cash or statement credits. Welcome Offer: Earn a $150 statement credit after you spend $1,000 or more in purchases with your new Card within the first 3 months of Card Membership. 0% for 15 months on purchases and balance transfers, then a variable rate. Here you’ll find the top miles bonuses, followed by the top points deals in the next section. There really is, however, no practical difference between points and miles. Here are the points promotions. As with miles, it’s not enough to simply compare these bonuses in absolute terms. You need to understand the value of the points when you redeem them. Often, the value depends on how you redeem the points. Earn 40,000 after spending $1,000 within the first 3 months. Earn 7,500 bonus points after your Cardmember anniversary. Click here to learn more about the Southwest Rapid Rewards Priority Credit Card and similar credit cards. 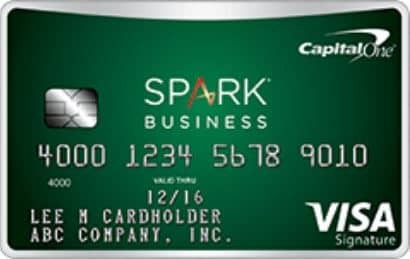 As a small business owner, I know the value of a good credit card. These deals span all categories, cash, miles and points. Welcome Offer: Earn 75,000 Hilton Honors Bonus Points after you use your new card to make $1,000 in eligible purchases within the first 3 months of Card Membership. Earn 7X Hilton Honors Bonus Points for every dollar of eligible purchases charged directly with a hotel or resort within the Hilton Honors portfolio of brands. Earn 5X Hilton Honors Bonus Points for every dollar of eligible purchases at U.S. restaurants, U.S. supermarkets, and U.S. gas stations. Limited Time Offer: Earn 60,000 points after you spend $3,000 on purchases in the first 3 months your account is open. Annual Bonus: Earn 6,000 bonus points after your Cardmember anniversary. 2X Rewards: Earn 2 points per $1 spent on Southwest® purchases and Rapid Rewards® hotel and car rental partner purchases. 1X Rewards: Earn 1 point per $1 spent on all other purchases. Click here to learn more about the Southwest Rapid Rewards Premier Business Credit Card and similar credit cards. 2x Rewards: Earn 2 points per $1 spent on purchases at gas stations, grocery stores, and restaurants. Get a free night after each account anniversary year at eligible IHG hotels worldwide. Click here to learn more about the IHG Rewards Club Premier Credit Card and similar credit cards.